Where can you stream This Old House? On 1979-01-01 Documentary TV Series This Old House first aired on PBS. 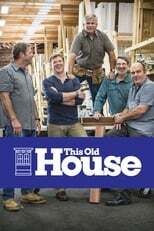 Written and created by Russell Morash, This Old House will return and was last broadcasted on 2018-11-17.